Create a wealth delicious dishes with the help of 4B Infrared Burner Gas Grill, It features with Durable Stainless Steel hood, Firebox, Cooking Grates with large cooking area and easy to clean, and a convinient swing-a-way Stainless Steel Wamring Rack, Infrared Main Burners 4pcs of 60000BTU/Hr, help to cooks fast and locks in flavor. The side tables and trolley are all Stainless Steel. This 4 Burner Gas Barbeque is a sleek Stainless steel design, all the features makes it a Deluxe Grill for high end market demands. Cooking area: 30" (L) x19.5" (W). Warming area: 30" (L) x6.5" (W). Looking for ideal Infrared 4 Burners Gas Grill Barbeque Manufacturer & supplier ? We have a wide selection at great prices to help you get creative. All the SS 4B Liquid Propane BBQ are quality guaranteed. 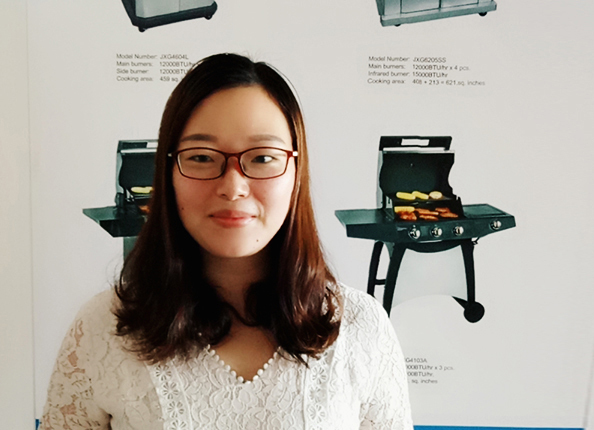 We are China Origin Factory of Gas Grill With Trolley For Camping. If you have any question, please feel free to contact us.